Which Slackline Should I get? Which is the right slackline webbing is for me? 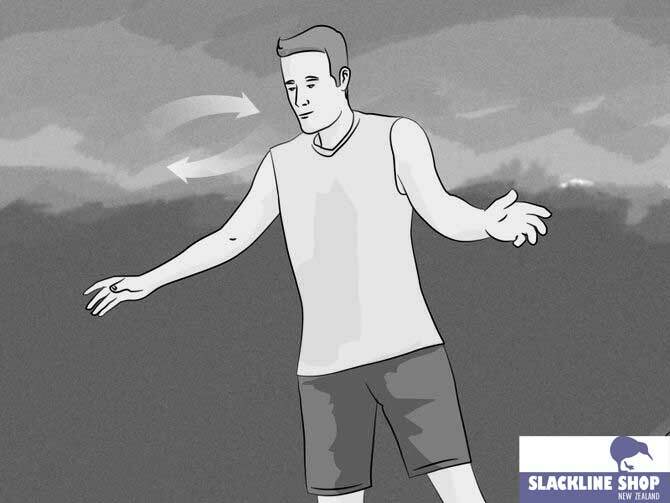 Which slackline tension system is for me? 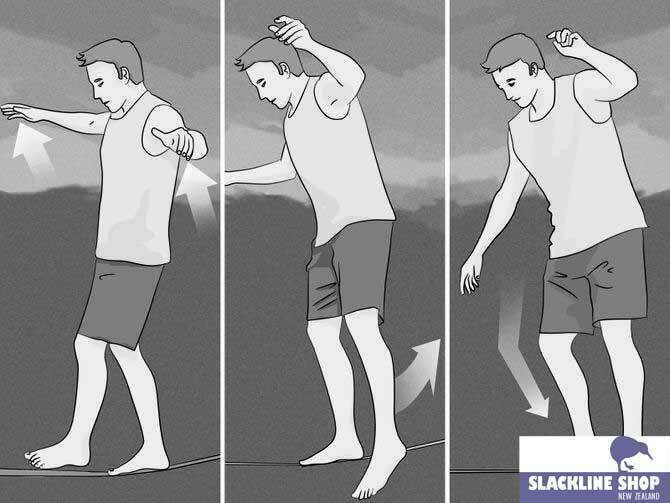 There are so many different slackline sets out there, it can be hard for a beginner to find the right one for them. 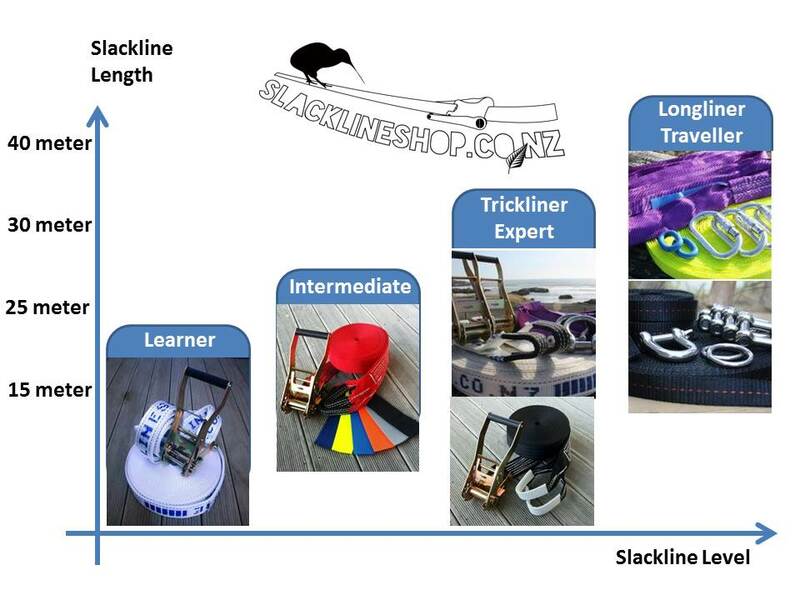 That’s why Slackline Shop NZ has created the the Slacklince Consultant – a handy guide to help you find the find right product for your needs. If you’re still stuck after reading the guide, then please email [email protected] and we’ll do our best to help you out! 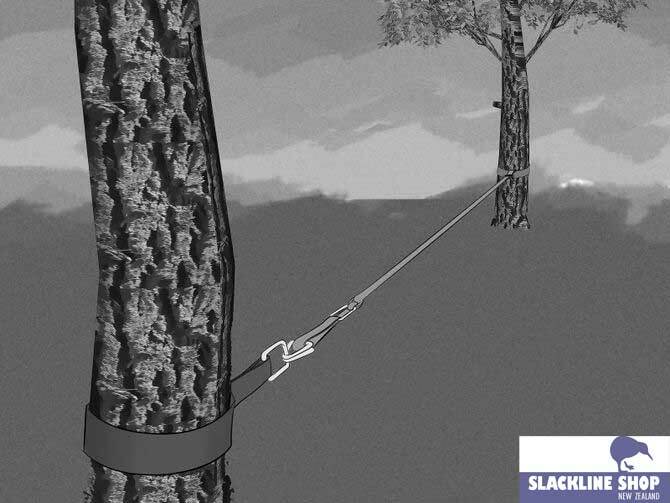 The keys things to consider when purchasing a slackline are the length, width, the slackline webbing material and the tensioning system. Slackline newbies really can’t go wrong with the one ratchet 50mm 15 metre Slackline Set. An affordable entry point into the world of slacklining, this set is really popular as a birthday present or Christmas gift. The 25 metre slackline is a natural follow on to the 15 metre set, perfect for those who have started to find their feet – and their balance – it’s also fully adjustable, so you can use the full length or shorten it if need be. The 30 metre Slackline Set with double ratchets is also adjustable to any length, and will provide added bounce from the extra ratchet. A big benefit to these sets are the anchor round slings and the shackles which hold the webbing flat and help you to get started with jumping on the slackline and doing tricks. The 30 metre double ratchet is definitely for experts! Slackline webbing with a length over 30 metres is also easier to setup. The 15 metre, 25 metre and 30 metre slackline ratchet sets all feature the Slackline Shop NZ classic 50mm width webbing, which is perfect for learners and Trickline performers. The wider wedding provides more stability, and more bounce if you put energy in it. The other option that we offer is the 25mm width slackline kits or 25mm slackline webbings. The feeling is really different to a wider webbing and you need a bit of extra training to walk them, especially because most of the thinner webbings feature on longer length slacklines, such as our 30 metre slackline. 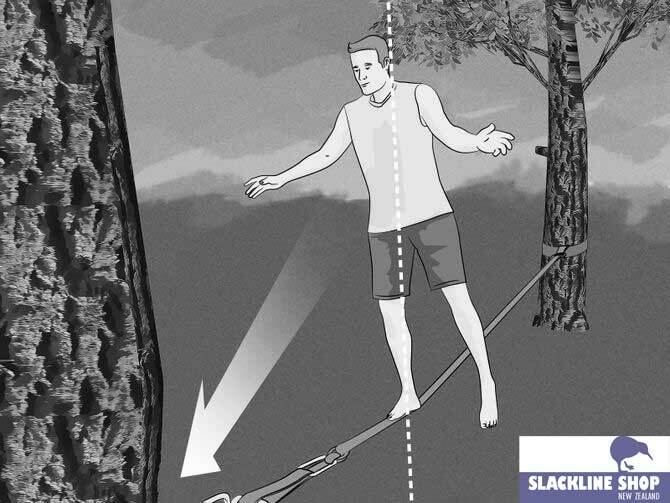 There are usually two different shaped slackline webbings, which are flat construction or tubular construction. Tubular means the slackline webbing is build like a hose and the inside is empty – you could look right through it if its short enough. Flat webbing is as it sounds – flat and solid. Here it is really up to you and what you prefer. Some people say they love the tubular feeling on their feet, because it is closer to tight rope walking due to the round shape, others prefer the stability afforded by a flat surface. Why not try both and find out which you prefer? The most simple to use is of course the single ratchet. This system is easy to set up and easy to transport given it is only two pieces. The next option is to use two ratchets with long slings on each end of the webbing. You can make it more advanced by adding a shackle and a round anchor sling to each ratchet and use a shorter sling with the ratchet. This setup stops the slackline from twisting itself, which is really important if you want to do tricks and jumping. The other option is to add tension to the webbing with a primitive pulley. At Slackline Shop NZ we give you the option to set up a pulley with shackles or carabiners. The main difference is the setup comfort and price. If you don’t mind the extra weight and the two-hand twisting technique of a shackle you will save some money. Meanwhile, a carabiner is easier to setup and lighter. 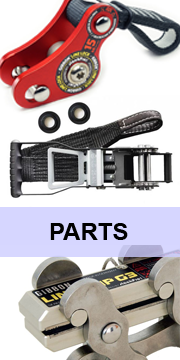 Both do have the same effectiveness to build the pulley system. 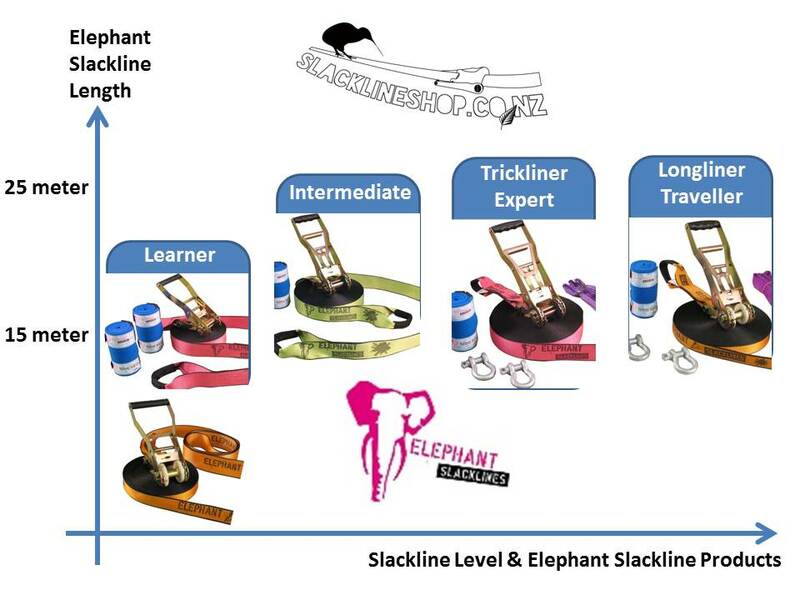 If you are a beginner you want to start with a 50mm (5cm or 2 inch) slackline webbing. This width is also good for walking and jumping or tricklining. 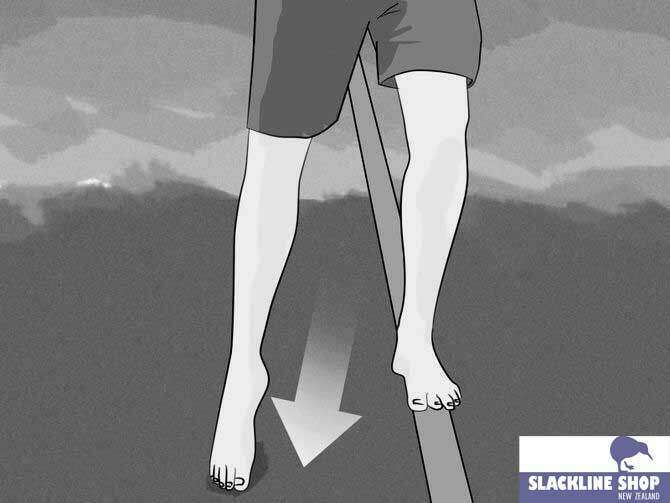 Tricklining is a more advanced style of slacklining and is something to try after mastering your first walks back and forth on the 50mm slackline. 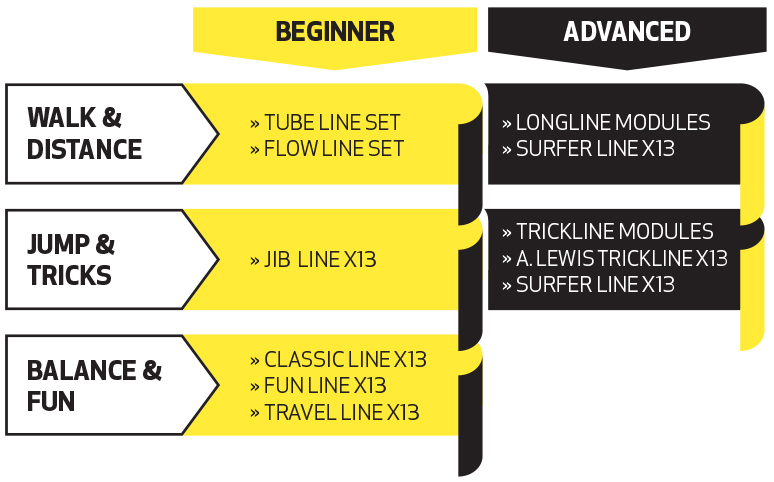 The 15 metre Slackline Set with the medium flex and ratchet is perfect for beginners and trickline learners. 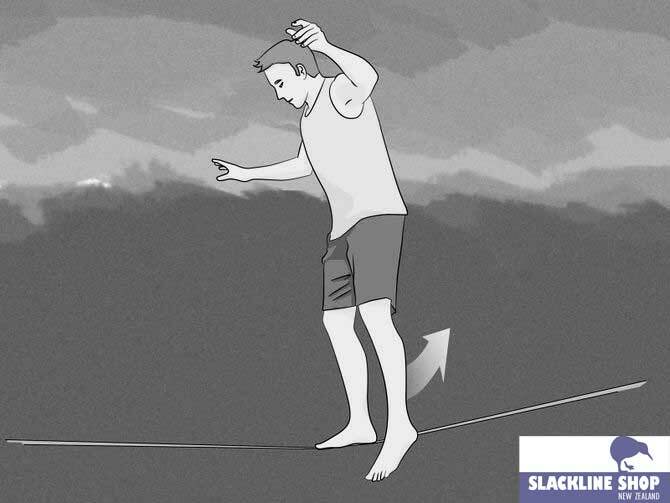 If you want to walk longer distances or prefer an experience more akin to tightrope walking, a narrower slackline webbing, such as 25mm or 35 mm (1 inch or 1.38 inch) is better for you. If you want to walk a distance longer than 25 metres we recommend the 25mm slackline webbing, and a better tension system, such as the 30 metre Double Ratchet Slackline Kit. It requires more force to tighten it, which can be difficult with some tightening systems. 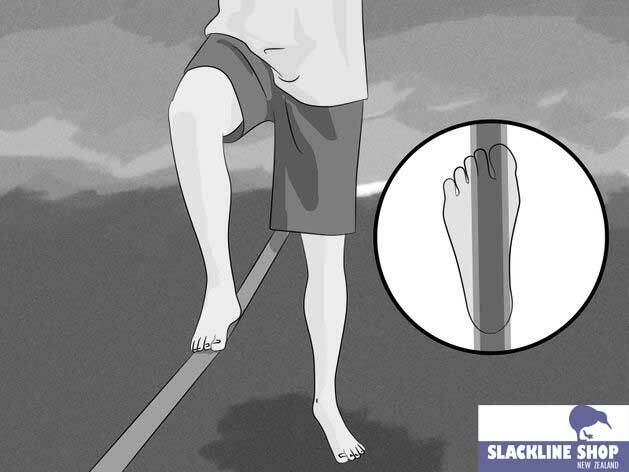 Put your foot lengthwise onto the slackline webbing. 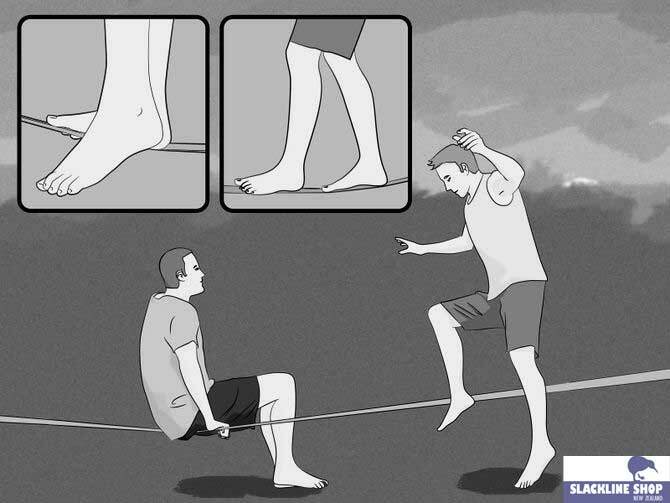 Leave the other leg of the line first and just stand there and feel the slackline. Later you can play around with having your foot across the line, because it is harder if you start like that. Relax and Breath. Try to feel whats happening. Now find your focus point. Use your arms. They are you most importance balance keeping instruments. Smooth motions. It’s not about speed it’s about balance! Move your free foot for balance. Now balance on each foot for 15 secs before you start walking many steps. From easy to hard. Standing then walking! 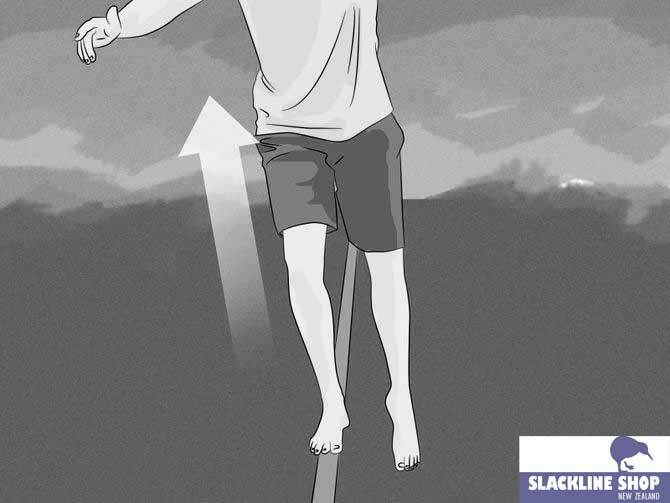 can an 9 year old youngster learn to slackline in the Tauranga area?